The head of privacy at the secretive Google X facility was one of the 18 people killed in an avalanche at Mount Everest, triggered by the Nepal earthquake. Hundreds of foreign nationals are also feared dead or are missing. Dan Fredinburg, 33, was part of the Jagged Globe expedition team that was tackling Mount Everest when the 7.9-magnidue quake shook Nepal, according to Jagged Globe and his family. He died of fatal head injury. Fredinburg headed the Google X research lab, which is in charge of developing projects like self-driving cars, drone deliveries, Google Glass, and contact lenses. 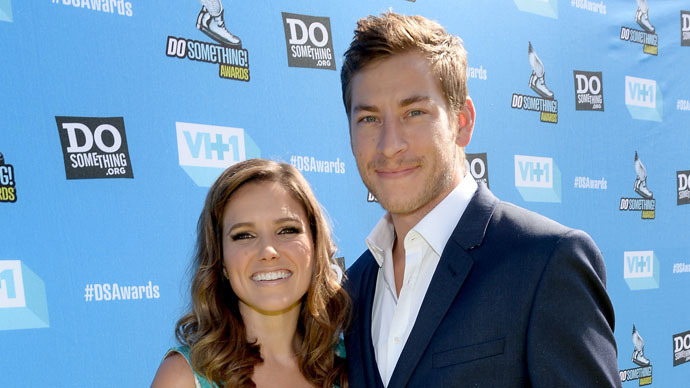 Fredinburg’s sister posted the news of her brother’s death on social media. The manager’s former girlfriend actress Sophia Bush also published an emotional post on Instagram. An army spokesperson confirmed to Reuters that a mountaineering team from the Indian military had discovered 18 bodies on Mount Everest on Saturday. Tom Taplin, 61, was making a documentary about the Mount Everest base camp when the avalanche hit. A spokesman for the Nepal Tourism Ministry, Gyanendra Shrestha said that two tents at the camp have been filled with wounded climbers. The Tourism ministry added that about 1,000 climbers, including around 400 foreigners, were present at base camp or were climbing Everest when the earthquake struck. The first helicopter rescue mission has airlifted injured climbers from the base camp at Mount Everest. The Nepal Mountaineering Association has confirmed that 100 climbers who were above base camp numbers one and two when the earthquake struck are safe, Reuters reports. However, the association added that it has been difficult to evacuate the climbers because the Icefall route back to the base camps has been damaged. Around 300,000 foreign tourists come to Nepal each spring for activities like climbing, trekking and hiking, according to Reuters. Carsten Lillelund Pedersen, a Danish climber, said there were at least 40 people being treated for injuries, adding that the avalanches were hitting the mountain one after the other. It was “difficult to see the following avalanches, and there are so many - maybe one every 5 min. - that I have stopped counting,” Pedersen said on Facebook. Communication remains difficult, as the network is down in the area. “It is almost impossible to get in touch with anyone,” said the joint secretary for the Nepalese Tourism Ministry, Mohan Krishna Sapkota. Many people have turned to social media in asking for help in locating their relatives who travelled to Nepal. They have posted pictures of the missing people with their descriptions. Others have said they will travel to Nepal themselves, believing they can be more productive on the ground. Officials are reportedly being overwhelmed by the number of calls they are receiving from friends and relatives of foreign nationals whose whereabouts are unknown. Meanwhile, those who experienced the quake in the Nepalese capital said the streets were filled with screaming people: “We were thrown around the room fairly comprehensively, we managed to get out. From where we were, we could see dust rising from the hills of Kathmandu, we could people screaming in the street,” Mark South from the International Red Cross told UK’s Channel 4 News. Many people in Nepal are choosing to sleep outside, due to the fear of aftershocks. The death toll has risen to 1,805 and another 4,718 people have been injured as a result of the Nepal earthquake, an unnamed official from Nepal’s Home Ministry told Reuters. Local authorities are scrambling to set up rescue missions, warning that the number of those killed could rise. The number of fatalities from the earthquake in India has reached 36 people, according to Reuters. Tremors were also felt in Chinese Tibet where 12 people were killed, with four deaths also recorded in Bangladesh. Two Chinese citizens are said to have died at the Nepal-China border. At least 47 Australians are unaccounted for in Nepal, Channel 9 reported citing an unconfirmed count by the International Red Cross. Canada’s Foreign Affairs Ministry said that 388 Canadians were registered in Nepal at the time of the quake. However, they warned that registration is only voluntary, meaning that the actual number could be a lot higher. Dozens of Britons are also missing, according to local media. Moreover, ten out of a total of 45 Czech tourists are still missing in Nepal following Saturday’s earthquake, a spokeswoman for the Czech Foreign Ministry, Michaela Lagronova said. Google has created a person finder page for the Nepal disaster, where people can either list a missing person, or provide information of someone’s whereabouts. It is currently tracking about 2,500 records of missing or found people, which can be searched by sending an SMS with the name of a person to Indian or US numbers. Facebook also added a feature, allowing anyone to mark themselves as being "safe during Nepal Earthquake."